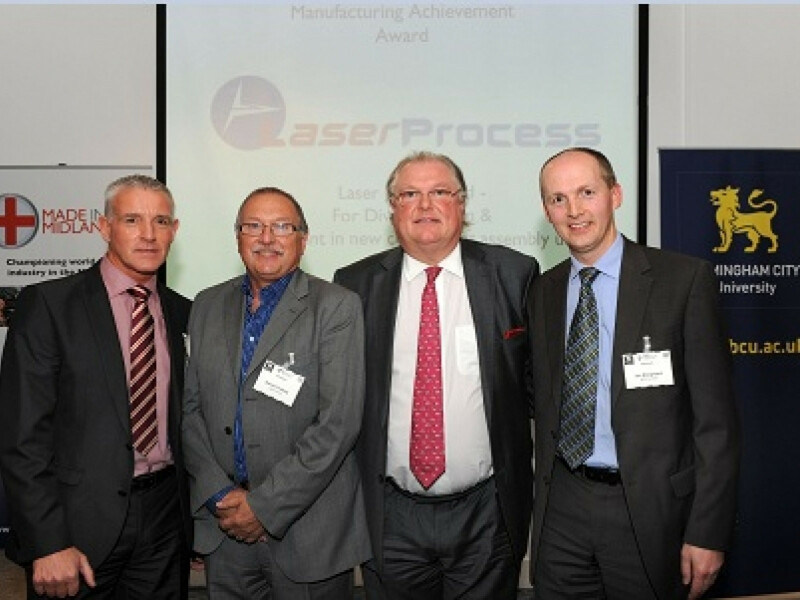 This year has seen Laser Process, specialists in subcontract laser cutting and secondary operations, has invested in a 3000 sq ft unit opposite their base on Keys Park, Cannock. The significant investment and the new unit’s housing of an assembly operation, which is intended to enable the firm to run a smooth operation has resulted in the firm receiving a manufacturing achievement award, sponsored by MPM Insurance, for ‘Diversification and Investment in Business’ at the Made in the Midland’s awards. Ian Shepherd, Director MPM Insurance said: “We were greatly impressed by the company’s continued dedication and confidence to invest despite the current economic situation and can see that the company are evidently reaping the rewards.” The unit houses a new but rapidly growing part of the business which is set to expand in the future. Laser Process’ investment of £50,000 in a new Dugard ECO1000 vertical machining centre has enabled the company to perform a range of secondary machining operations on parts they have laser cut. To keep up with the growing demand, the company has also taken on extra staff to operate the new machine and for the assembly operations.